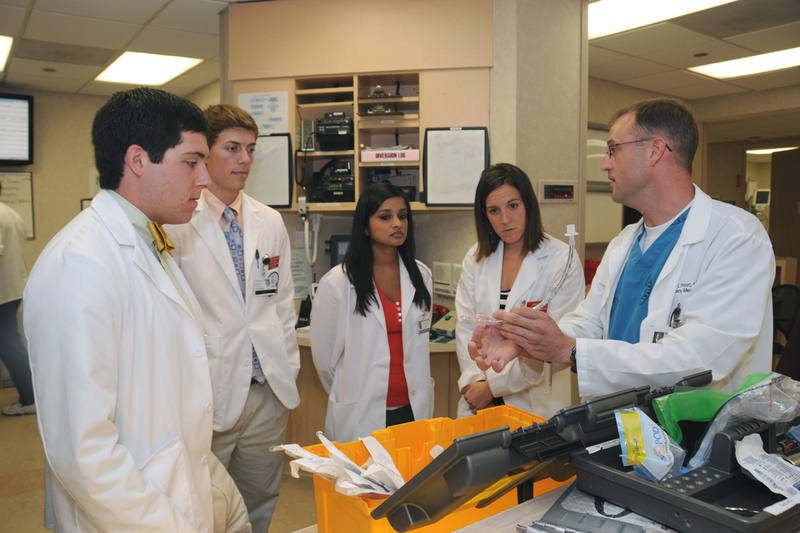 KCU Clinical Education is committed to providing medical students with high-quality clinical experiences. Throughout the University's history, strong and valued partnerships have been established with highly regarded physicians, hospitals and clinic systems all across the nation. KCU is committed to recognizing and rewarding preceptors with an appropriate and meaningful Adjunct Faculty Rank. In accordance with the University's mission, the Rank and Promotion Committee Guidelines have been specifically constructed to provide preceptors a method of obtaining an appointment. It is our obligation not only to document the qualifications and skills of our Adjunct Clinical Faculty, but also to provide the educational support and development essential to the delivery of a quality curriculum. Preceptors demonstrating an interest in training KCU-COM students are reviewed for eligibility and granted a courtesy appointment as Adjunct Clinical Instructor with the opportunity to apply for a higher rank. This process includes submitting an Application for Adjunct Clinical Faculty Appointment and providing supporting documentation based on the criteria for the rank requested. KCU recognizes preceptors commit considerable time and energy to the education of our students. Preceptor CME credits are provided as outlined below.